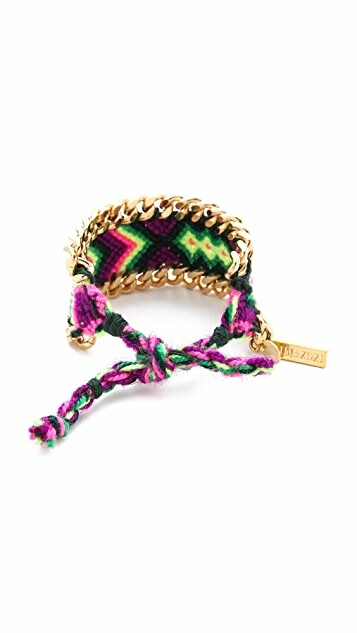 Kim & Zozi, part of Shopbop's ONE by collection. ONE by is home to exceptional pieces that represent the top of their categories. 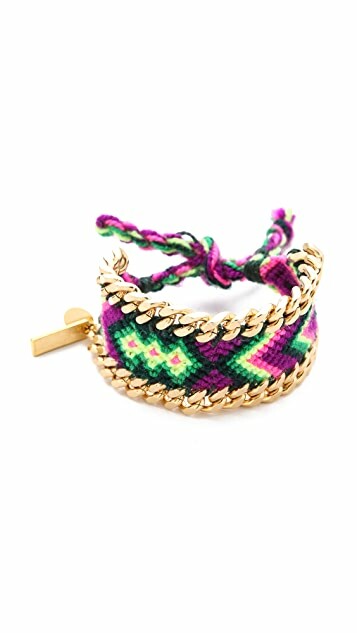 Curb chains outline a woven friendship bracelet, creating unexpected shine against the colorful threads. Adjustable length and tie closure.